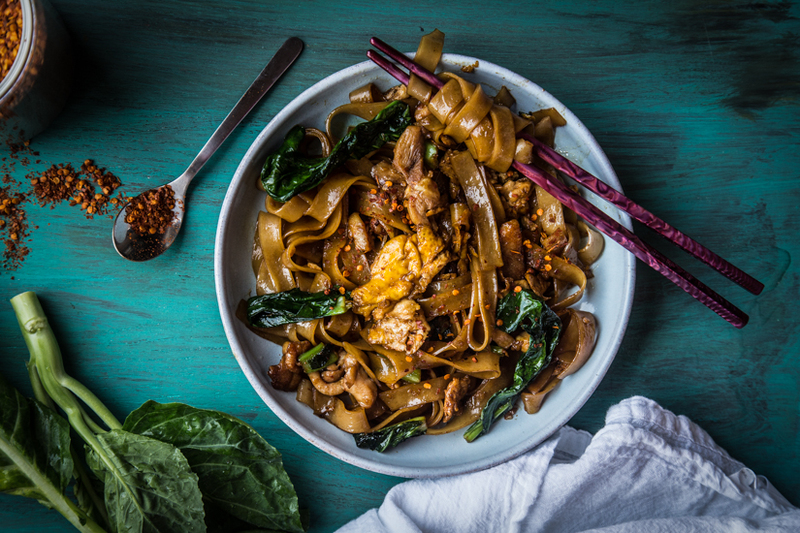 Pad See Ew is popular Thai stir-fried rice noodles with meat, eggs, Chinese broccoli, soy sauce and other seasonings. It is a must-try !It is very similar to char (stir-fried) kwe tiau (Rice noodles) in Indonesia, Malaysia, and Singapore. 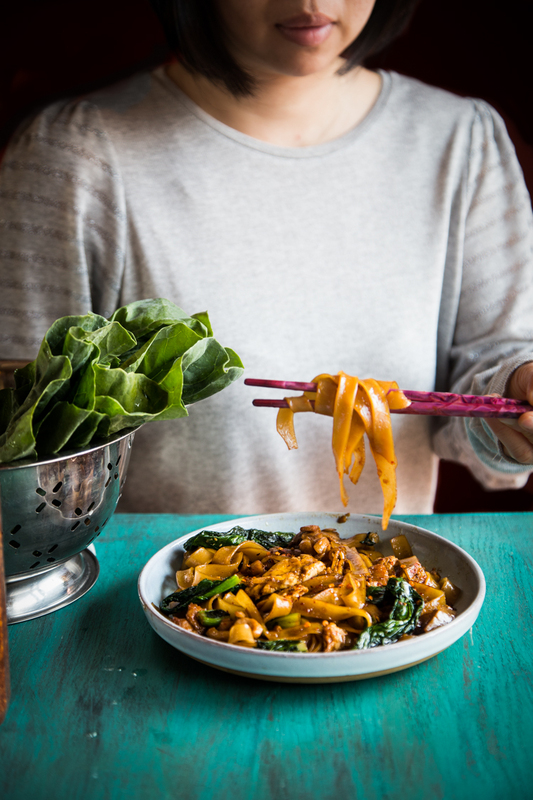 The mention of Pad See Ew surely makes me feel all nostalgic. Back in college (many many years ago!! 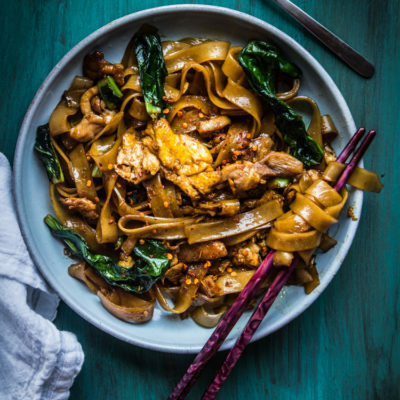 ), a Thai friend used to bring Pad See Ew and Pad Thai home from the Thai restaurant that serves very authentic Thai food she worked at for me. I can tell you , I was almost in tears when I tasted the Pad See Ew. It was probably the best I’ve ever tasted. 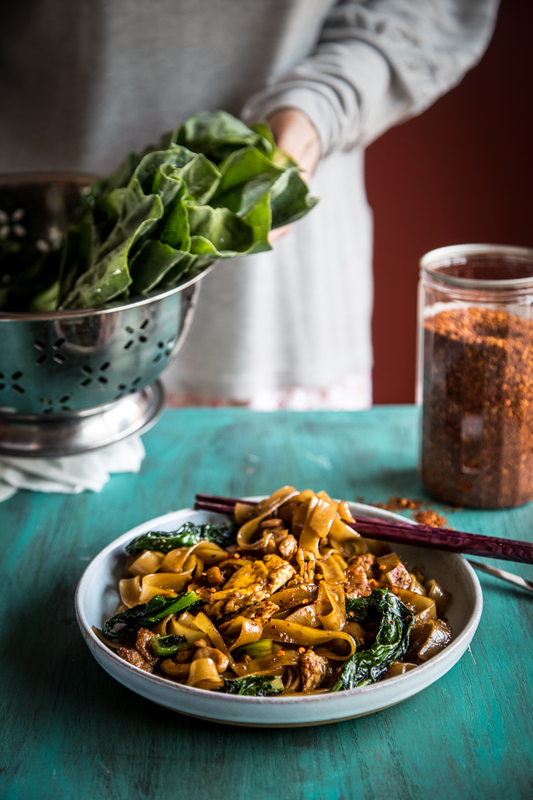 I was hooked with Pad See Ew ever since. She’s the sweetest girl I’ve ever met too! In case you haven’t read…I feel so lucky to have always found special people wherever I go. Forever grateful for that ! 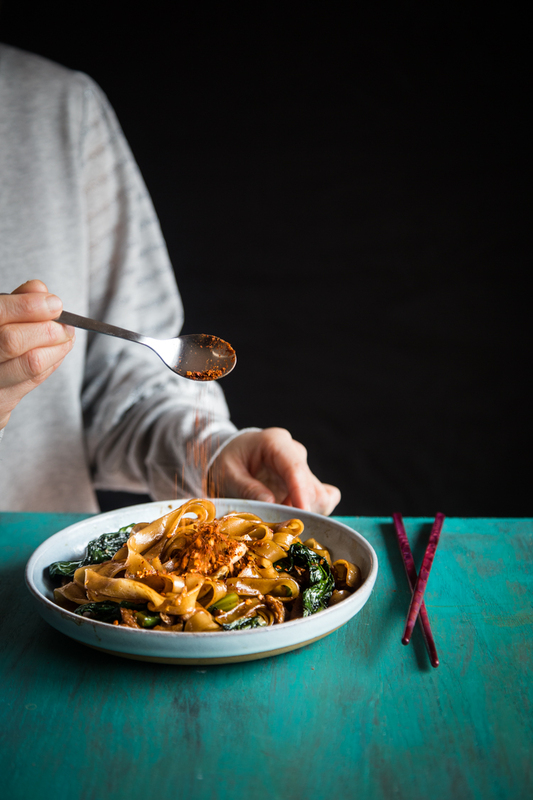 The stir-fried noodles we are talking about here are the flat rice noodle or what we normally called kuey tiao/kwe tiau in Indonesia, Malaysia and Singapore. 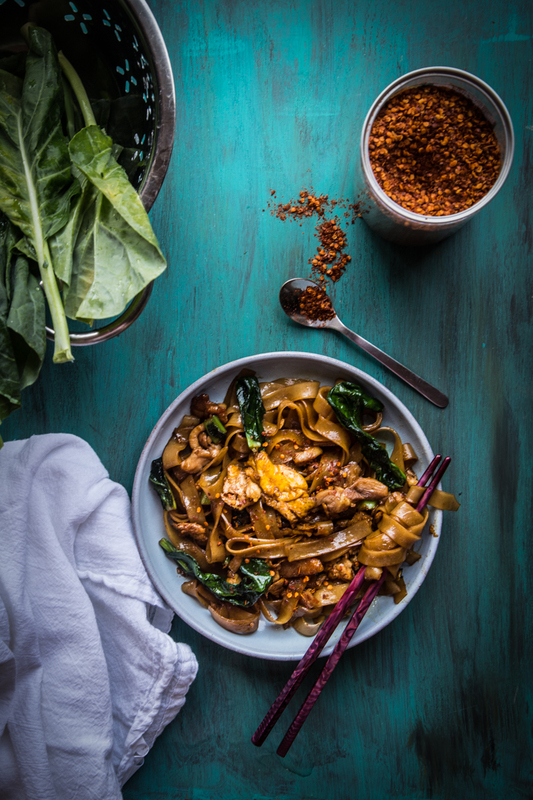 In Thailand, pad see ew is their version of char kwe tiau. The dish gets it name from the ingredient use in making this stir-fry, soy sauce, si-io (conveniently spelled into si ew) means soy sauce. 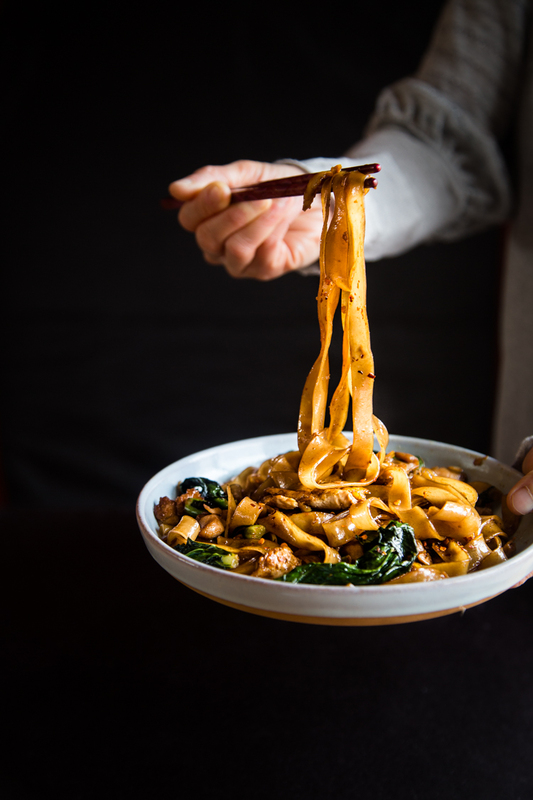 Pad see ew is a dry stir-fried noodles. There is also a wet/with gravy version known as Rad Na or Kwe Tiau Rad Na. I made Rad Na a while back and that was also super delicious. Serve it immediately. This is the kind of the dish you want to eat when it’s sizzling hot and even if you find yourself having to blow on it before eating, still, you shouldn’t let the phat see ew sits around waiting for you. Never do that on any stir-fried noodles! So I’m at a loss when it comes to different kinds of soy sauce. Could you explain it to me? Hi Clara, in this recipe I use soy sauce (regular, sometimes also refers to as “light soy sauce”. Contains wheat) and my favorite brand is Kikkoman. Kikkoman soy sauce is Japanese soy sauce, which has a little sweetness compare to Chinese version, but either one you choose to use, is just soy sauce, to give the dish a salty taste. Less sodium version is also available. Another one that probably confuses you is the “dark soy sauce”. 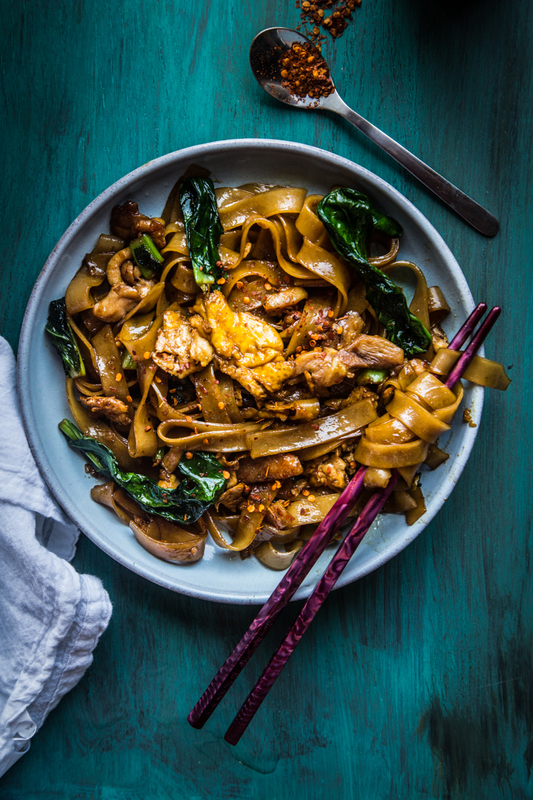 Dark soy sauce is usually used in Asian cooking to add that “darker/browner” color, like in this Pad See Ew dish. It is not as salty as the regular and the dark color comes from molasses/caramel added to it. Tamari is also a soy sauce but with very little wheat used to brew the soy sauce. Some are even gluten-free. Another sauce in this recipe is Oyster sauce. Which is not related to soy sauce. Quoting from wikipedia: It is a viscous dark brown condiment made from sugar, salt and water thickened with cornstarch, flavoured with a little oyster essence or extract. 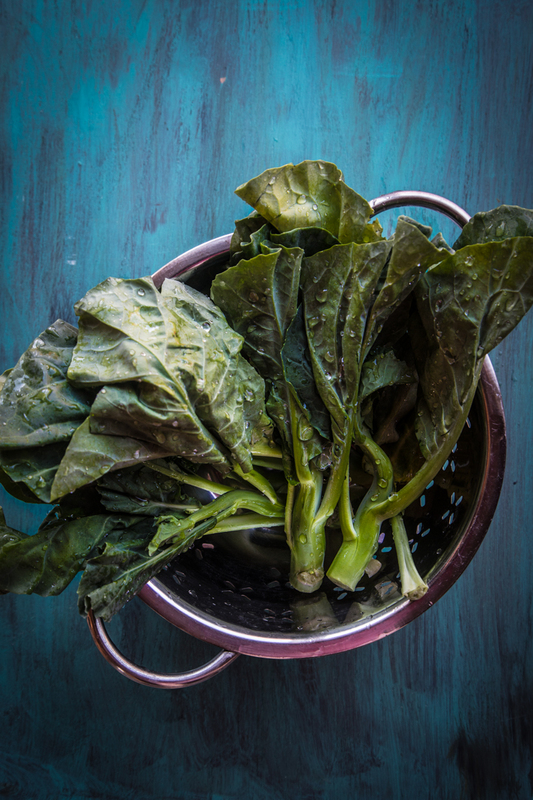 You will see this being used a lot in marinating and stir-frying. I hope this helps to clarify ? Please let me know if I can help to clarify further! 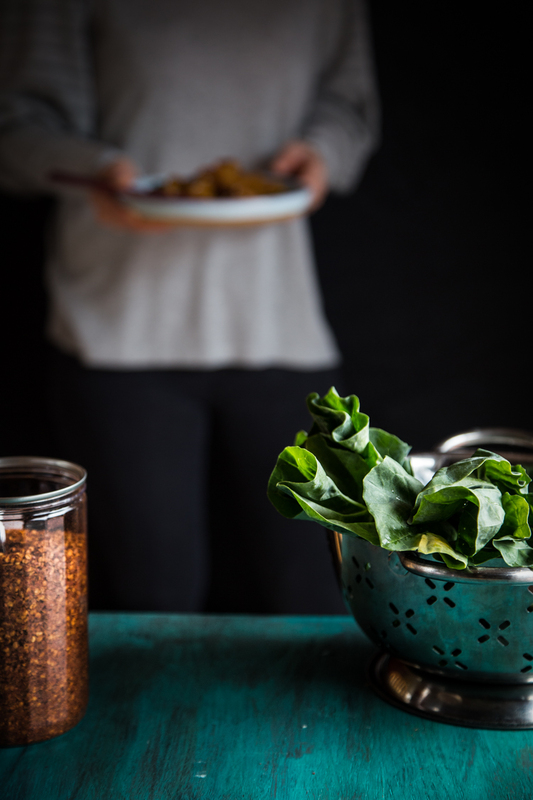 I’m seeing an ingredient in your photos that isn’t listed in the recipe. Is it chili powder? Please tell!